Local man John Joe Barry (82), a returned emigrant casting his vote for his very first time in Ireland watched by Stephen Mulvihill, Poll Clerk, and Delia Mc Grath, Presiding Officer, at the Scoil Realt na Mara polling station in Kilkee. Photograph by John Kelly. 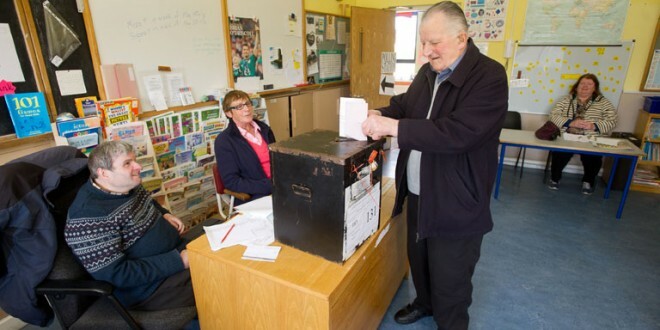 County Clare residents are currently casting their number one preference votes at polling stations across the county for the 2014 local and European elections. 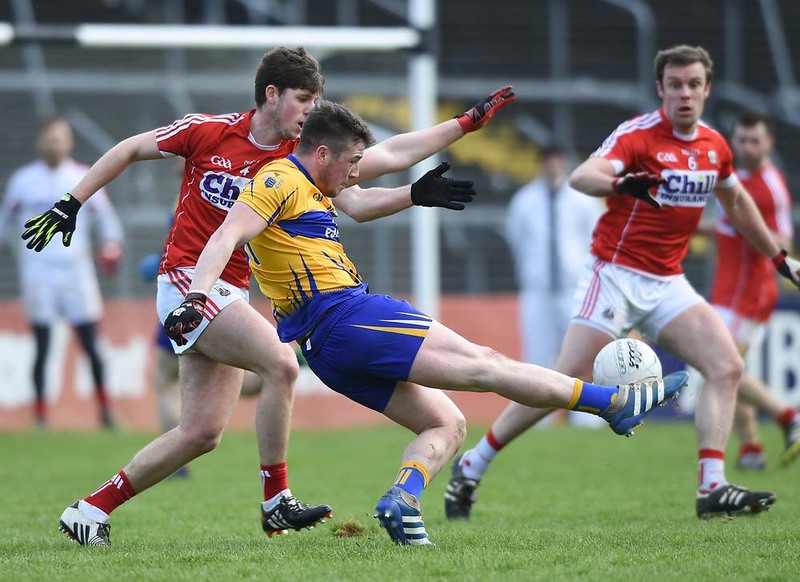 A total of 90,620 people living in Clare are entitled to vote in the local election which sees 69 candidates battle it out for 28 seats across the four municipal districts: Ennis; West; Shannon; and Killaloe. Local man John Joe Barry (82), a returned emigrant voting for his very first time in Ireland at the Scoil Realt na Mara polling station in Kilkee. Photograph by John Kelly. 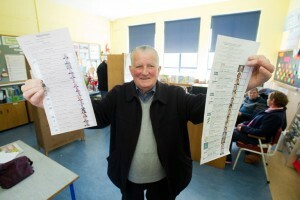 Among them was 82 year old Clare man JJ Barry who voted for the first time in Ireland. An emigrant in England for 63 years, JJ returned to Kilkee in West Clare two years ago. A man with a keen interest in politics, JJ was delighted with the opportunity to vote in County Clare. “I wanted to vote now because I don’t know how many years I have left. I always wanted to have a vote but in my time, there was no voting in Ireland until you were 21. I was 19 when I emigrated,” he revealed. All polling stations opened in the county at 7am and will remain open until 10pm tonight, despite a small majority of polling cards indicating different opening hours. Anyone who turns up at a polling station and is not on the electoral register is not entitled to vote. A council official said the council instigated a number of advertising campaigns advising the public to check the electoral area register to ensure they were registered to vote. He advised that there may be situations where someone may be removed from the electoral area register and this is not done without reason. All ballot boxes will be opened on Saturday morning at the West County Hotel in Ennis from 9am, where the counting will begin. Clare’s European election ballot papers are to be separated first and sent to the central counting facility for the South region. The newly elected 28 county councillors are not expected to be fully known until Sunday.